After a seven-year journey with Clementine, The Walking Dead ultimately outlived the studio that birthed it. It's been a long and winding road across four seasons, one spinoff, and at least a few controversies, but at the end of it all fans will be thrilled to find Clementine gets the conclusion she so deserves. It's at different times somber, spirited, tragic, and beautiful — familiar feelings, all of which display the series at its best one last time. It's difficult to separate the emotionality of this series finale from the more bullet-pointed list of things it does well or poorly the way some surely hope to find in a review, but then why should anyone have or want to divide this particular game from its emotional core? The Walking Dead always presented itself as an emotional journey first and foremost, and though even this final episode joins almost every other in falling short of the heights felt and seen in the season one finale, it comes pretty damn close. 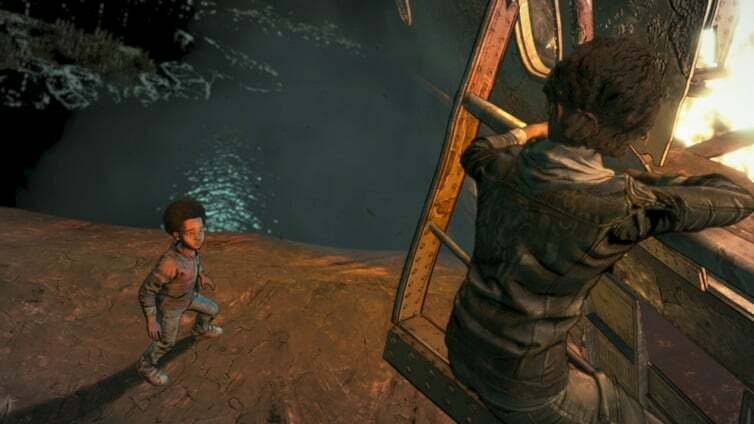 Clementine and AJ and the rest of the Academy kids are once again fighting for their lives as the episode starts, and you've surely learned by now that not everyone will make it out alive. That sort of death toll comes with the conclusion to all stories like this, be it another video game saga or a TV series from which Telltale so liberally cribbed over the years. But episode four, "Take Us Back," does exceptionally well to remember a finale is more than just a bunch of major character deaths. The stakes are always highest in a finale. Despite a few mishaps, the dialogue is tighter in this episode than it had been in several years. Perhaps the end of the road was freeing for the writers. No longer worried about having to build a foundation for their labyrinthine flow chart of dialogue options yet to come, now the team was able to focus in closely on these characters they had written, Clem especially, and just say goodbye. It's often nostalgic, satisfyingly takes its time, and feels authentic all the way through. 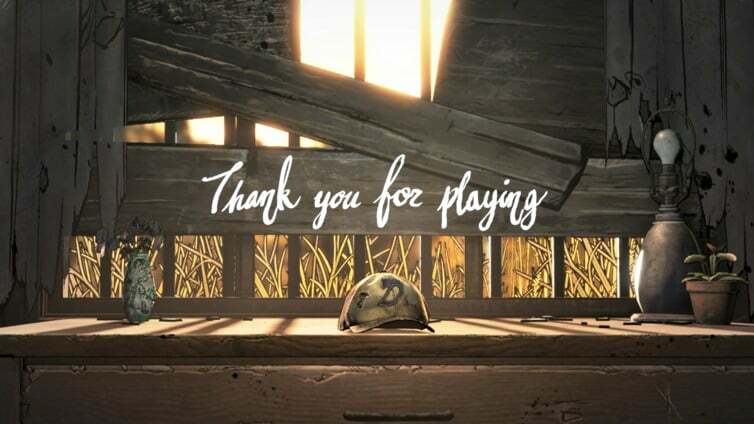 The one constant of the series has always been Clementine, and she really gets a sendoff to remember. The finale crystalizes the season's theme of innocence lost (and sometimes found) in memorable ways, even tying up some loose ends I didn't expect they cared to tie up at all. For longtime fans, it's awesome to look back on Clem's life as we saw it over the better part of a decade. In the series' seven years, sometimes dialogue was too on-the-nose, framerate stutters were present in basically every episode, and choices were sometimes too streamlined to feel impactful, but thematically you could always come away with a strong sense of what a season was saying, and that's perhaps truer here than ever before, especially as it reflects not just on the season but the entire series, virtually Clementine's entire life. As Telltale no longer exists, the silver lining is all of its developers are free to find new stories to tell, like others have before them such as those that created Firewatch or OXENFREE. 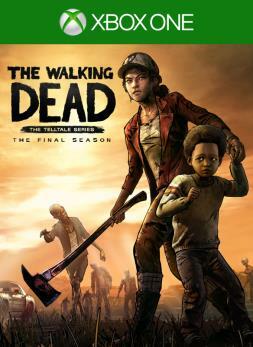 There is so much heart departing from this series, and this final season feels like it was written by a studio that saw its own fate coming, and its own band of survivors were left to carry on and finish what they started together way back in 2012. 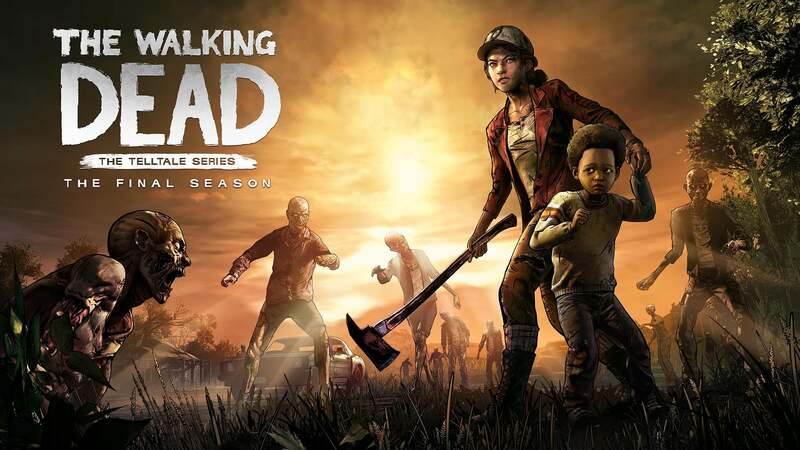 Few projects in games have tried to do what The Walking Dead did, and while there were plenty of bumps on the way, for the series to end the way it does in this episode is a testament to the entire endeavor as well as the displaced creators that cared for it. Knowing how close we were to never seeing this finale just a few months ago, I feel thankful that it didn't turn out that way. The Still Not Bitten Team says goodbye. For the achievement hunters, note that two achievements once again require off-setting choices be made. Without getting into spoilers, I recommend copying your save file after you cross a bridge inside a cave. You'll need to play the next 30 or so minutes twice popping each related achievement after you climb a rock wall. Save your true choice for last if you want your preferred plot be told. Other than that, three collectibles are the only other things you can miss. Like the rest of this season, it's not as easy as other Telltale games, but saying it's hard would be absurd. The reviewer spent three hours with Clementine one last time. He gathered all the achievements. A review code was provided by the publisher.